The Trump Administration is speeding up its plans to move the U.S. Embassy in Israel from Tel Aviv to Jerusalem, with plans to open the new diplomatic post in 2019. This is a change from what Secretary of State Rex Tillerson and other Trump administration officials had previously said when they projected it would take three years or more to construct a new Embassy. The decision to accelerate plans was made in a Thursday meeting at the White House. "The secretary will do this at the pace of security, not politics," said Steve Goldstein, undersecretary of state for diplomacy and public affairs. "Our equity is in the safety and security of U.S. personnel." The new plan is to convert an existing structure in the neighborhood of Arnona as an interim solution. White House adviser and Trump son-in-law Jared Kushner, U.S. Ambassador to Israel and former Trump bankruptcy lawyer David Friedman, as well as Mideast negotiator and former Trump lawyer Jason Greenblatt are said to have pushed for the accelerated timeline. It is an abrupt about face for President Trump. In a Wednesday interview with Reuters, the president denied there was a plan to relocate the U.S. Embassy within a year. 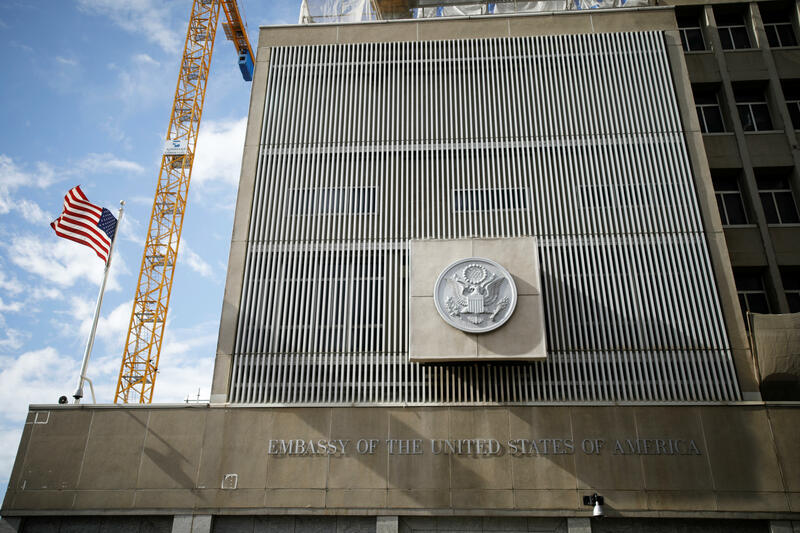 The question was prompted by earlier public comments made by Israeli Prime Minister Benjamin Netanyahu, who said he believed the U.S. Embassy would open within the year. A spokesperson for the National Security Council referred inquiries to the State Department. As of this writing, the White House has not responded to a request for comment regarding Kushner's position. The December decision by Mr. Trump to recognize Jerusalem as Israel's political capital infuriated Palestinians, who also claim the disputed city. The decision drew criticism from diplomats who argued it provided no benefit to U.S. national security interests and instead inflamed tensions. However, the decision was roundly praised by Trump supporters, including many Evangelical Christian groups. Vice President Pence is scheduled to depart for a Middle East trip Friday that includes a visit to Jerusalem. He had supported the president's December decision to recognize the disputed city of Jerusalem as the capital of Israel with no mention of Palestinian claims to it. The official Trump administration position is that both Israel and Palestinians should enter into direct talks and that a two state solution would be supported if both sides agree to it.